Aluminum Frames are available in many finishes, sizes and colors. Our slogan says it all, The Signmaker’s Signmaker. 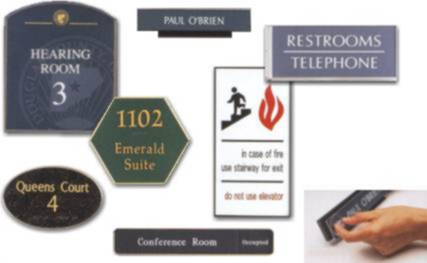 At CAB Signs we specialize in ADA Signs, Engraving and much more. Having a large manufacturing plant, we can produce orders with outstanding turn-around time.